Maggie McDermott Dyer – Maggie has been around basketball almost her entire life. She played for numerous AAU teams as a child where her passion for basketball was developed. Maggie attended Watkins Mill High School where she was a 4 year varsity starter. She received All-County and All-Metropolitan honors her junior and senior years. Maggie was a scholarship athlete and played collegiate at Lander University in Greenwood, South Carolina. Maggie has a Bachelor of Science degree in Exercise Science from Lander University. She went on to obtain her Masters degree in Sports Psychology from the University of Maryland, College Park. Maggie is entering her 19th year as a Montgomery County Varsity Coach. 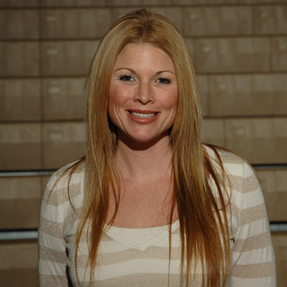 She began her coaching career at the Connelly School of the Holy Child in 2000 and was there for 3 years. In 2003, Maggie became the head coach at Wootton High School where her team has won the division title 4 out of the last 8 years. Maggie has over 20 years of girl’s basketball camp experience and knows what it takes to run a camp that is both fun and productive. She creates a learning environment that is both high energy and dynamic.